It's no secret that Steam's game refund policy is one of the most generous in the digital distribution industry. Whereas many stores don't allow refunds at all -- or only allow them for unresolvable technical issues with a game -- Steam shocked the market in 2015 when it announced its "no questions asked" refund policy. When you buy a game on Steam nowadays, you can refund it as long as it fits two conditions: you must have played it for less than two hours (that includes leaving the game open on a pause screen), and the purchase must be less than 14 days old. If you request a refund and that criteria is met, it will be granted; no questions asked. You can refund a game because it doesn't work, it doesn't run well on your PC, or you simply don't like it. 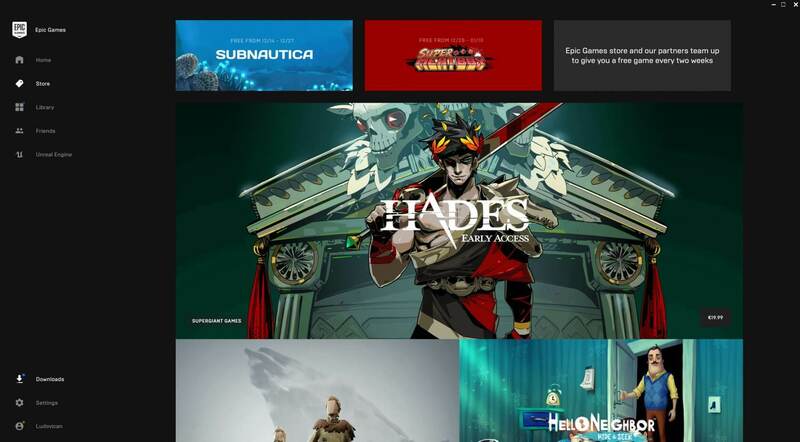 Epic understands the value of a good refund policy, and given its obvious desire to compete more heavily with Steam with its new Epic Games Store, it's no surprise to see the company emulate Valve's digital return rules. Games can be refunded through the Epic Store within 14 days of purchase "for any reason," so long as they were played for less than two hours. Indeed, Epic's newly-updated refund policy is virtually a direct copy of Steam's. Games can be refunded through the Epic Store within 14 days of purchase "for any reason," so long as they were played for less than two hours. The inspiration Epic has drawn from Steam is made even more evident by this clause at the end, which was designed to address the question of refunding games that go on sale shortly after purchase: "You can refund your purchase for a full refund and immediately re-purchase the product as long as it abides by the above guidelines, we do not consider this to be refund abuse." For the sake of comparison, the following is an excerpt from Steam's refund guidelines: "We do not consider it abuse to request a refund on a title that was purchased just before a sale and then immediately rebuying that title for the sale price." These striking similarities aside, as the saying goes, imitation is the sincerest form of flattery. And from a consumer perspective, more digital distribution platforms offering such pro-customer refund policies can only be a good thing.